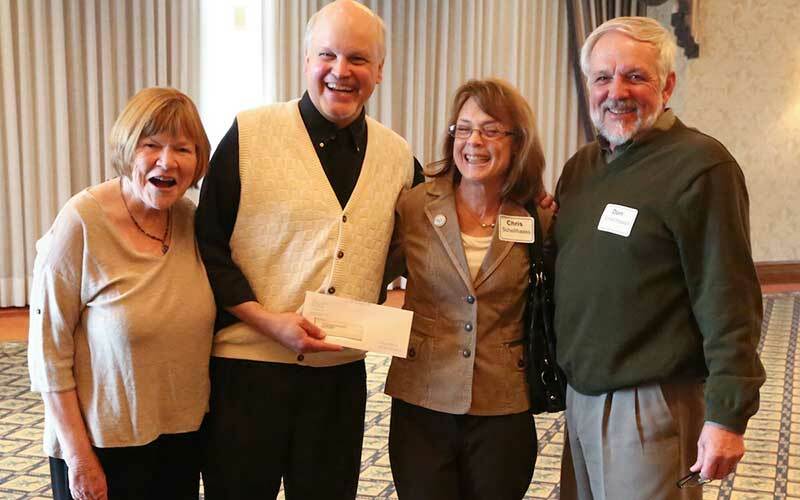 The McHenry County Community Foundation presented grants totalling about $225,000 to 28 organizations March 25. Pictured (from left, top) are Foundation board member LeeAnn Atwood, McHenry County Historical Society vice president Molly Walsh, MCHS Administrator Kurt Begalka and Foundation Executive Director Robin Doeden. Below, Molly and Kurt gratefully acknowledge a matching donation from Chris and Don Schellhaass. All told, the Society received grants totaling $17,500 for two paid internships and research library improvements.